The emergence and prospects of deep-ultraviolet light-emitting diode technologies, Nature Photon. 13, 233-244 (2019). Dual-energy electron beams from a compact laser-driven accelerator, Nature Photon. 13, 263-269 (2019). Shearing interferometry via geometric phase, Optica 6, 396-399 (2019). Micropillar lasers with site-controlled quantum dots as active medium, Optica 6, 404-409 (2019). Toward the optical second: verifying optical clocks at the SI limit, Optica 6, 448-454 (2019). Vortex laser by transforming Gaussian mode with an interferometric output coupler, Opt. Ex. 27, 11642-11650 (2019). Polarization diversity phase modulator for measuring frequency-bin entanglement of a biphoton frequency comb in a depolarized channel, Opt. Lett. 44, 1674-1677 (2019). Quantum nonlocality for entanglement of quasiclassical states, Opt. Lett. 44, 1726-1729 (2019). Photonic-chip-based frequency combs, Nature Photon. 13, 158-169 (2019). Visible quantum dot light-emitting diodes with simultaneous high brightness and efficiency, Nature Photon. 13, 192-197 (2019). Entanglement of three quantum memories via interference of three single photons, Nature Photon. 13, 210-213 (2019). Mapping and measuring large-scale photonic correlation with single-photon imaging, Optica 6, 244-249 (2019). Optimal simultaneous measurements of incompatible observables of a single photon, Optica 6, 257-263 (2019). Three-dimensional photonic crystal simultaneously integrating a nanocavity laser and waveguides, Optica 6, 296-299 (2019). Generation of deep ultraviolet sub-2-fs pulses, Opt. Lett. 44, 1308-1311 (2019). Measuring nonclassicality with silicon photomultipliers, Opt. Lett. 44, 1371-1374 (2019). Twin-field quantum key distribution with modified coherent states, Opt. Lett. 44, 1468-1471 (2019). Alignment-free dispersion measurement with interfering biphotons, Opt. Lett. 44, 1484-1487 (2019). 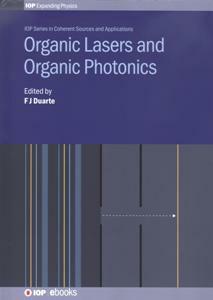 Organic Lasers and Organic Photonics , (Institute of Physics, London, 2019). Deterministic creation of entangled atom–light Schrödinger-cat states, Nature Photon. 13, 110-115 (2019). Ultra-narrow linewidth Brillouin laser with nanokelvin temperature self-referencing, Optica 6, 152-159 (2019). Generating few-cycle radially polarized pulses, Optica 6, 160-164 (2019). Random lasing emission tailored by femtosecond and picosecond pulsed polymer ablation, Opt. Lett. 44, 518-521 (2019). Oscillatory trajectory of an optical beam propagating in free space, Opt. Lett. 44, 646-649 (2019). Employing covert communications-based information reconciliation and multiple spatial modes to polarization entanglement QKD, Opt. Lett. 44, 687-690 (2019). Searching for exoplanets using a microresonator astrocomb, Nature Photon. 13, 25-30 (2019). Sub-hertz fundamental linewidth photonic integrated Brillouin laser, Nature Photon. 13, 60-67 (2019). Polarization-entangled photon pairs from a single molecule, Optica 6, 34-40 (2019). Sub-150-fs pulses from an optically pumped broadband modelocked integrated external-cavity surface emitting laser, Opt. Lett. 44, 25-28 (2019). Practical quantum digital signature with a gigahertz BB84 quantum key distribution system, Opt. Lett. 44, 139-142 (2019). Experimental observation of the polarization coherence theorem, Opt. Lett. 44, 159-162 (2019). Hong–Ou–Mandel interference between independent III–V on silicon waveguide integrated lasers, Opt. Lett. 44, 271-274 (2019). Interference between independent photonic integrated devices for quantum key distribution, Opt. Lett. 44, 275-278 (2019). Experimental Greenberger–Horne–Zeilinger entanglement beyond qubits, Nature Photon. 12, 759–764 (2017). Probing, quantifying, and freezing coherence in a thermal ensemble of atoms, Optica 5, 1462-1467 (2018). Hard x-ray multi-projection imaging for single-shot approaches, Optica 5, 1521-1524 (2018). Near-field coupling of a levitated nanoparticle to a photonic crystal cavity, Optica 5, 1597-1602 (2018). Universal quantum gate with hybrid qubits in circuit quantum electrodynamics, Opt. Lett. 43, 5765-5768 (2018). Polarization-driven spin precession of mesospheric sodium atoms, Opt. Lett. 43, 5825-5828 (2018). Ultrafast thulium fiber laser system emitting more than 1 kW of average power, Opt. Lett. 43, 5853-5856 (2018). 3.5 kW coherently combined ultrafast fiber laser, Opt. Lett. 43, 6037-6040 (2018). Quantum interference and correlation control of frequency-bin qubits, Optica 5, 1455-1460 (2018). Tunable single-mode lasing in a single semiconductor microrod, Opt. Ex. 26, 30021-30029 (2018). Propagation of partially coherent four-petal elliptic Gaussian vortex beams in atmospheric turbulence, Opt. Ex. 26, 30061-30075 (2018). Broadband negative-refractive index terahertz metamaterial with optically tunable equivalent-energy level, Opt. Ex. 26, 30085-30099 (2018). Measurement of milli-Newton axial force and temperature using a hybrid microsilica sphere Fabry–Perot sensor, Opt. Lett. 43, 5210-5213 (2018). Multiphoton structured thin-plane imaging with a single optical path, Opt. Lett. 43, 5271-5274 (2018). Quantum interference and exceptional points, Opt. Lett. 43, 5371-5374 (2018). Three-photon light-sheet fluorescence microscopy, Opt. Lett. 43, 5484-5487 (2018). Diode-pumped Q-switched Alexandrite laser in single longitudinal mode operation with Watt-level output power, Opt. Lett. 43, 5492-5495 (2018). Ray–wave duality in classical optics: crossing the Feynman bridge, Opt. Lett. 43, 5591-5594 (2018). 339 J high-energy Ti:sapphire chirped-pulse amplifier for 10 PW laser facility, Opt. Lett. 43, 5681-5684 (2018). Super-resolution quantum imaging at the Heisenberg limit, Optica 5, 1150-1154 (2018). Free space laser telecommunication through fog, Optica 5, 1338-1341 (2018). Reconfigurable RGB dye laser based on the laminar flow control in an optofluidic ship, Opt. Lett. 43, 4661-4464 (2018). Ultra high power (100 kW) fiber laser welding of steel, Opt. Lett. 43, 4667-4670 (2018). Eight-channel laser array with 100 GHz channel spacing based on surface-slotted structures fabricated by standard lithography, Opt. Lett. 43, 4867-4870 (2018). Tunable self-injection locked green laser diode, Opt. Lett. 43, 4931-4934 (2018). Largely tunable dispersion chirped polymer FBG, Opt. Lett. 43, 5106-5109 (2018). Deterministic generation of Greenberger–Horne–Zeilinger entangled states of cat-state qubits in circuit QED, Opt. Lett. 43, 5126-5129 (2018). Large-scale silicon quantum photonics implementing arbitrary two-qubit processing, Nature Photon. 12, 534–539 (2017). 3D x-ray imaging of continuous objects beyond the depth of focus limit, Optica 5, 1078-1086 (2018). Matrix heater in the gravitational wave observatory GEO 600, Opt. Ex. 26, 22687-22697 (2018). Testing the photon-number statistics of a quantum key distribution light source, Opt. Ex. 26, 22733-22749 (2018). Computational imaging enables a “see-through” lens-less camera, Opt. Ex. 26, 22826-22836 (2018). Free space optical secret key agreement, Opt. Ex. 26, 23305-23332 (2018). Optical coherence tomography in Optics Express , Opt. Ex. 26, 24240-24259 (2018). Large scale quantum key distribution: challenges and solutions , Opt. Ex. 26, 24260-24273 (2018). Quantum cryptography with structured photons through a vortex fiber, Opt. Lett. 43, 4108-4111 (2018). Optimized ultra-narrow atomic bandpass filters via magneto-optic rotation in an unconstrained geometry, Opt. Lett. 43, 4272-4275 (2018). Nonlinear charge oscillation driven by a single-cycle light field in an organic superconductor, Nature Photon. 12, 474–478 (2017). Relativistic single-cycle tunable infrared pulses generated from a tailored plasma density structure, Nature Photon. 12, 489–494 (2017). Entanglement limits duality and vice versa, Optica 5, 942-947 (2018). Optical binding of two cooled micro-gyroscopes levitated in vacuum, Optica 5, 910-917 (2018). Realization of true all-optical AND logic gate based on nonlinear coupled air-hole type photonic crystal waveguides, Opt. Ex. 26, 19845-19853 (2018). Intense, directional and tunable gamma-ray emission via relativistic oscillating plasma mirror, Opt. Ex. 26, 19932-19939 (2018). Controllable and selective single-mode lasing in polymer microbottle resonator, Opt. Ex. 26, 20183-20191 (2018). On-chip quantum interference with heralded photons from two independent micro-ring resonator sources in silicon photonics, Opt. Ex. 26, 20379-20395 (2018). Eavesdropping and countermeasures for backflash side channel in quantum cryptography, Opt. Ex. 26, 21020-21032 (2018). Generation of high-quality tunable Airy beams with an adaptive deformable mirror, Opt. Lett. 43, 3634-3637 (2018). External-cavity quantum cascade laser using intra-cavity out-coupling, Opt. Lett. 43, 3726-3729 (2018). Experimental test of quantum correlations from Platonic graphs, Optica 5, 718-722 (2018). Full-field broadband invisibility through reversible wave frequency-spectrum control Optica 5, 779-786 (2018). Witnessing quantum entanglement in ensembles of nitrogen–vacancy centers coupled to a superconducting resonator, Opt. Ex. 26, 17849-17858 (2018). Experimental investigation of broad area quantum cascade lasers under external feedback, Opt. Ex. 26, 17927-17935 (2018). Ultra-broadband tunable single- and double-mode InAs/InP quantum dot external-cavity laser emitting around 1650 nm, Opt. Lett. 43, 3025-3028 (2018). Quantum features in the orthogonality of optical modes for structured and plane-wave light, Opt. Lett. 43, 3249-3252 (2018). Inverse prism based on temporal discontinuity and spatial dispersion, Opt. Lett. 43, 3297-3300 (2018). Experimental three-party quantum random number generator based on dimension witness violation and weak measurement, Opt. Lett. 43, 3437-3440 (2018). Indistinguishability of elementary systems as a resource for quantum information processing, Phys. Rev. Lett 120, 240403 (2018). Nanoparticle sensing beyond evanescent field interaction with a quasi-droplet microcavity Optica 5, 674-677 (2018). Accelerating light with metasurfaces Optica 5, 678-671 (2018). Prime number decomposition using the Talbot effect Opt. Ex. 26, 15009-15014 (2018). Accurate effective atomic number determination with polychromatic grating-based phase-contrast computer tomography Opt. Ex. 26, 15153-15166 (2018). Two-dimensional nonlinear modes and frequency combs in bottle microresonators Opt. Lett. 43, 2680-2683 (2018). Direct femtosecond laser-induced formation of CdS quantum dots inside silicate glass Opt. Lett. 43, 2519-2522 (2018). Record fifth-harmonic-generation efficiency producing 211 nm, joule-level pulses using cesium lithium borate Opt. Lett. 43, 2462-2465 (2018). High-contrast high-intensity repetitive pettawatt laser Opt. Lett. 43, 2595-2598 (2018). Isotropic single-photon sources Opt. Lett. 43, 2736-2739 (2018). Frequency-domain Hong–Ou–Mandel interference with linear optics Opt. Lett. 43, 2760-2763 (2018). Self-calibration of lensless holographic endoscope using programmable guide stars Opt. Lett. 43, 2997-3000 (2018). Bridging ultrahigh-Q devices and photonic circuits Nature Photon. 12, 297-302 (2018). Independent high-purity photons created in domain-engineered crystals Optica 5, 514-517 (2018). Dispersive soft x-ray absorption fine-structure spectroscopy in graphite with an attosecond pulse Optica 5, 502-506 (2018). Experimental entangled photon pair generation using crystals with parallel optical axes Opt. Ex. 26, 12396-12402 (2018). Photon pair generation with tailored frequency correlations in graded-index multimode fibers Opt. Lett. 43, 2018-2021 (2018). Flexible and broadly tunable infrared light source based on shaped sub-10-fs pulses for a multimodal microscopy setup Opt. Lett. 43, 2054-2057 (2018). Residue number system arithmetic based on integrated nanophotonics Opt. Lett. 43, 2626-2629 (2018). Photon statistics as an interference phenomenon Opt. Lett. 43, 2304-2307 (2018). Diode-pumped 45 fs Yb:CALGO laser oscillator with 1.7 MW of peak power Opt. Lett. 43, 2324-2327 (2018). Phase-shift-amplified interferometry Opt. Lett. 43, 2402-2405 (2018). New book series in Coherent Sources and Applications by IoP Publishing (London) . Attosecond time–energy structure of X-ray free-electron laser pulses Nature Photon. 12, 215-220 (2018). Two-photon interference in an atom–quantum dot hybrid system Optica 5, 367-373 (2018). Scattering correlations of time-gated light Optica 5, 389-394 (2018). All-organic switching polarizer based on polymer waveguides and liquid crystals Opt. Ex. 26, 9584-9594 (2018). Narrowband diode laser pump module for pumping alkali vapors Opt. Ex. 26, 9792-9797 (2018). Lensless Stokes holography with the Hanbury Brown-Twiss approach Opt. Ex. 26, 10801-10812 (2018). Three-dimensional super-resolved live cell imaging through polarized multi-angle TIRF Opt. Lett. 43, 1423-1426 (2018). Micro-hole drilling by tightly focused vector beams Opt. Lett. 43, 1542-1545 (2018). Michelson mode selector for spectral range stabilization in a self-sweeping fiber laser Opt. Lett. 43, 1558-1561 (2018). Tunable dispersion compensation of quantum cascade laser frequency combs Opt. Lett. 43, 1746-1749 (2018). Tuning selective reflection of light by surface anchoring in cholesteric cells with oblique helicoidal structures Opt. Lett. 43, 1850-1853 (2018). Femtosecond X-ray Fourier holography imaging of free-flying nanoparticles Nature Photon. 12, 150-153 (2018). Experimental statistical signature of many-body quantum interference Nature Photon. 12, 173-178 (2018). Quantum receiver for large alphabet communication Optica 5, 227-232 (2018). Tabletop nonlinear optics in the 100-eV spectral region Optica 5, 237-242 (2018). Compact gain-saturated x-ray lasers down to 6.85 nm and amplification down to 5.85 nm Optica 5, 257-262 (2018). Quantitative evaluation of light–matter interaction parameters in organic single-crystal microcavities Opt. Lett. 43, 1047-1050 (2018). Generation of high-energy, kilohertz-rate narrowband tunable ultraviolet pulses using a burst-mode dye laser system Opt. Lett. 43, 1191-1194 (2018). Compact sub-kilohertz low-frequency quantum light source based on four-wave mixing in cesium vapor Opt. Lett. 43, 1243-1246 (2018). Single-frequency fiber laser based on a fiber ring resonator filter tunable in a broad range from 1023 nm to 1107 nm Opt. Lett. 43, 1339-1342 (2018). Enhanced spin Hall effect of light by transmission in a polymer Opt. Lett. 43, 1343-1346 (2018). Far-field nanoscopy on a semiconductor quantum dot via a rapid-adiabatic-passage-based switch Nature Photon. 12, 68–72 (2018). Time-reversal symmetry breaking with acoustic pumping of nanophotonic circuits Nature Photon. 12, 91-97 (2018). Ultrafast confocal fluorescence microscopy beyond the fluorescence lifetime limit Optica 5, 117-126 (2018). Improvement of reliability in multi-interferometer-based counterfactual deterministic communication with dissipation compensation Opt. Ex. 26, 2261-2269 (2018). Heralded generation of high-purity ultrashort single photons in programmable temporal shapes Opt. Ex. 26, 2764-2774 (2018). Phase tuning by length contraction Opt. Ex. 26, 3174-3187 (2018). Tuning single-photon sources for telecom multi-photon experiments Opt. Ex. 26, 3286-33302 (2018). Dual-polarization interference microscopy for advanced quantification of phase associated with the image field Opt. Lett. 43, 427-430 (2018). Ultra-efficient nanoparticle trapping by integrated plasmonic dimers Opt. Lett. 43, 455-458 (2018). Terahertz ptychography Opt. Lett. 43, 543-546 (2018). Homographically generated light sheets for the microscopy of large specimens Opt. Lett. 43, 663-666 (2018). Engineering spectrally unentangled photon pairs from nonlinear microring resonators by pump manipulation Opt. Lett. 43, 859-862 (2018). Controllable single-photon transport in an optical waveguide coupled to an optomechanical cavity with a V-type three-level atom Chin. Opt. Lett. 16, 012701 (2018). Characterization and application of plasma mirror for ultra-intense femtosecond lasers Chin. Opt. Lett. 16, 013201 (2018). Decoherence-protected memory for a single-photon qubit Nature Photon. 12, 18–21 (2017). Room-temperature ultrafast nonlinear spectroscopy of a single molecule Nature Photon. 12, 45-49 (2018). DiffuserCam: lensless single-exposure 3D imaging Optica 5, 1-9 (2018). Iodine-stabilized single-frequency green InGaN diode laser Opt. Lett. 43, 126-129 (2018). Cascaded four-wave mixing in the XUV region Opt. Lett. 43, 4865-4868 (2018). Quantum limits on the time-bandwidth product of an optical resonator Opt. Lett. 43, 150-153 (2018). Selective generation of Lamb modes by a moving continuous-wave laser Opt. Lett. 43, 78-81 (2018). Digital synthesis of optical interleaver based on a solid multi-mirror Fabry–Perot interferometer Appl. Opt. 56, 9976-9983 (2017). Continuous-wave lasing in an organic–inorganic lead halide perovskite semiconductor Nature Photon. 11, 784–788 (2017). Ultrafast terahertz detectors based on three-dimensional meta-atoms Optica 4, 1451-1456 (2017). Generation of the complete four-dimensional Bell basis Optica 4, 1462-1467 (2017). Accurate beacon positioning method for satellite-to-ground optical communication Opt. Ex. 25, 30996-31005 (2017). All-organic electro-optic waveguide modulator comprising SU-8 and nonlinear optical polymer Opt. Ex. 25, 31036-31044 (2017). Nonclassical photon pairs from warm atomic vapor using a single driving laser Opt. Ex. 25, 31230-31238(2017). Third-order nonlinearity OPO: Schmidt mode decomposition and tripartite entanglement Opt. Lett. 42, 4865-4868 (2017). Giant self-induced transparency of intense few-cycle terahertz pulses in n-doped silicon Opt. Lett. 42, 4889-4892 (2017). Generation of 70-fs pulses at 2.86 µm from a mid-infrared fiber laser Opt. Lett. 42, 4893-4896 (2017). On-chip wavelength locking for photonic switches Opt. Lett. 42, 4934-4937 (2017). Steering optical comb frequencies by rotating the polarization state Opt. Lett. 42, 5145-5148 (2017). Tens of hertz narrow-linewidth laser based on stimulated Brillouin and Rayleigh scattering Opt. Lett. 42, 5286-5289 (2017). Self-tuning optical resonator Opt. Lett. 42, 5298-5301 (2017). Hard X-ray free-electron laser with femtosecond-scale timing jitter Nature Photon. 11, 708–713 (2017). Efficient picosecond x-ray pulse generation from plasmas in the radiation dominated regime Optica 4, 1344-1349 (2017). Demonstration of a diode-laser-based high spectral resolution lidar (HSRL) for quantitative profiling of clouds and aerosols Opt. Ex. 25, A1096-A1110 (2017). Preparation of entangled states of microwave photons in a hybrid system via the electro-optic effect Opt. Ex. 25, 28305-28318 (2017). Satellite-to-ground optical communications using small optical transponder (SOTA) – received-power fluctuations Opt. Ex. 25, 28319-28329(2017). Gain optimization, bleaching, and e-beam structuring of IR-140 doped PMMA and integration with plasmonic waveguides Opt. Mat. Ex. 7, 3963-3978 (2017). Narrow-linewidth microwave generation by an optoelectronic oscillator with a directly modulated microsquare laser Opt. Lett. 42, 4251-4254 (2017). Sodium guide star laser pulsed at Larmor frequency Opt. Lett. 42, 4351-4354 (2017). Ultra-short beam expander with segmented curvature control: the emergence of a semi-lens Opt. Lett. 42, 4383-4386 (2017). Coherent combination of ultrashort pulse beams using two diffractive optics Opt. Lett. 42, 4422-4425 (2017). Progress in high-power continuous-wave quantum cascade lasers Appl. Opt. 56, H15-H23 (2017). In-chip microstructures and photonic devices fabricated by nonlinear laser lithography deep inside silicon Nature Photon. 11, 639–645 (2017). Single-qubit quantum memory exceeding ten-minute coherence time Nature Photon. 11, 646-650 (2017). Quantum interference between autonomous single-photon sources from Doppler-broadened atomic ensembles Optica 4, 1167-1170 (2017). Innovative focal plane design for large space telescope using freeform mirrors Optica 4, 1188-1195 (2017). Single-frequency fiber amplifier at 1.5 µm with 100 W in the linearly-polarized TEM00 mode for next-generation gravitational wave detectors Opt. Ex. 25, 24880-24892 (2017). Polarisation structuring of broadband light Opt. Ex. 25, 25079-25089 (2017). 5 µm few-cycle pulses with multi-gigawatt peak power at a 1 kHz repetition rate Opt. Lett. 42, 3796-3799 (2017). 0.85 PW laser operation at 3.3 Hz and high-contrast ultrahigh-intensity 400 nm second-harmonic beamline Opt. Lett. 42, 3828-3831 (2017). Ramsey interferometry of a bosonic Josephson junction in an optical cavity Opt. Lett. 42, 3952-3955 (2017). LED-pumped alexandrite laser oscillator and amplifier Opt. Lett. 42, 4191-4194 (2017). Nonlinear pulse compression to 43 W GW-class few-cycle pulses at 2 µm wavelength Opt. Lett. 42, 4179-4172 (2017). Lasing from organic dye molecules embedded in transparent wood Adv. Opt. Mat. 5, 1700057 (2017). Tunable room-temperature single-photon emission at telecom wavelengths from sp3 defects in carbon nanotubes Nature Photon. 11, 577-582 (2017). Narrow-linewidth tunable dye laser by multiple-prism beam expander Opt. Quantum Elec. 49, 306 (2017). High-dimensional intracity quantum cryptography with structured photons Optica 4, 1006-1010 (2017). High average power and single-cycle pulses from a mid-IR optical parametric chirped pulse amplifier Optica 4, 1024-1029 (2017). Synchronization-free light sheet microscopy based on a 2D phase mask Optica 4, 1030-1033 (2017). Widely tunable semiconductor lasers with three interferometric arms Opt. Ex. 25, 21400-21409 (2017). 600 W green and 300 W UV light generated from an eight-beam, sub-nanosecond fiber laser system Opt. Lett. 42, 3255-3258 (2017). More than 400 W random fiber laser with excellent beam quality Opt. Lett. 42, 3347-3350 (2017). Ultrabroadband tunable OPA design using a spectrally broadened pump source Opt. Lett. 42, 3367-3370 (2017). Ultra-short pulse fiber optical parametric oscillator Opt. Lett. 42, 3423-3426 (2017). Coherent coupling of a single molecule to a scanning Fabry-Perot microcavity Phys. Rev. X 7, 021014 (2017). An optically detected magnetic resonance spectrometer with tunable laser excitation and wavelength resolved infrared detection Rev. Sci. Instrum. 88, 013902 (2017). Quantum-mechanical study and spectral analysis on some derivatives of rhodamine in solutions Spectrochem. Acta P. A: Mol. Biomol. Spect. 172, 91-99 (2017). Beam steering limitation of a Risley prism system due to total internal reflection Appl. Opt. 56, 6079-6086 (2017). Compact Brillouin devices through hybrid integration on silicon Optica 4, 847-854 (2017). Generalized optical memory effect Optica 4, 886-892 (2017). Sub-diffraction discrimination with polarization-resolved two-photon excited fluorescence microscopy Optica 4, 911-918 (2017). Organic membrane photonic integrated circuits (OMPICs) Opt. Ex. 25, 18537-18552 (2017). Ultra-compact polarization rotation in integrated silicon photonics using digital metamaterials Opt. Ex. 25, 19721-19731 (2017). Simple autocorrelation method for thoroughly characterizing single-photon detectors Opt. Ex. 25, 20352-20362 (2017). Thermo-optic tuning of whispering gallery mode lasing from a dye-doped hollow polymer optical fiber Opt. Lett. 42, 2926-2929 (2017). Optically pumped lasing with a Q-factor exceeding 6000 from wet-etched GaN micro-pyramids Opt. Lett. 42, 2976-2979 (2017). High power, high repetition rate, tunable broadband mid-IR source based on single-pass optical parametric generation of a femtosecond laser Opt. Lett. 42, 2886-2889 (2017). Polymer micro-ring resonator integrated with a fiber ring laser for ultrasound detection Opt. Lett. 42, 2655-2658 (2017). Generation of a coherent light beam with precise and fast dynamic control of the state and degree of polarization Opt. Lett. 42, 2898-2901 (2017). Chimera-like states in an array of coupled-waveguide resonators Opt. Lett. 42, 2906-2909 (2017). Inline self-diffraction dispersion-scan of over octave-spanning pulses in the single-cycle regime Opt. Lett. 42, 3048-3051 (2017). Coherence properties of different light sources and their effect on the image sharpness and speckle of holographic displays Sci. Rep. 7, 5893 (2017). Deep learning with coherent nanophotonic circuits Nature Photon. 11, 441-446 (2017). Quantum transport simulations in a programmable nanophotonic processor Nature Photon. 11, 447-452 (2017). Broadband antireflection film with moth-eye-like structure for flexible display applications Optica 4, 678-683 (2017). Phase sensing beyond the standard quantum limit with a variation on the SU(1,1) interferometer Optica 4, 752-756 (2017). 1.15 PW–850 J compressed beam demonstration using the PETAL facility Opt. Ex. 25, 16957-16970 (2017). Interference based localization of single emitters Opt. Ex. 25, 17174-17191 (2017). High-order dispersion control of 10-petawatt Ti:sapphire laser facility Opt. Ex. 25, 17488-17498 (2017). Direct soliton generation in microresonators Opt. Lett. 42, 2519-2522 (2017). Room-temperature, rapidly tunable, green-pumped continuous-wave optical parametric oscillator Opt. Lett. 42, 2635-2638 (2017). Wideband tunable opto-electronic oscillator based on frequency translation Opt. Lett. 42, 2671-2674 (2017). Entanglement in a four-wave mixing process Opt. Lett. 42, 2754-2757 (2017). High-average-power femtosecond laser at 258 nm Opt. Lett. 42, 2826-2829 (2017). Broadly tunable metal halide perovskites for solid-state light-emission applications Mat. Today 20 (2017). Time stretch and its applications Nature Photon. 11, 341-351 (2017). Broadband image sensor array based on graphene–CMOS integration Nature Photon. 11, 366-371 (2017). Enlargement of optical Schrödinger's cat states Nature Photon. 11, 379-382 (2017). Superresolution via structured illumination quantum correlation microscopy Optica 4, 580-587 (2017). Acousto-optical nanoscopy of buried photonic nanostructures Optica 4, 588-594 (2017). All-optical nanopositioning of high-Q silica microspheres Opt. Ex. 25, 13101-13106 (2017). 4.2 PW, 20 fs Ti:Sapphire laser at 0.1 Hz Opt. Lett. 42, 2058-2061 (2017). Temporally versatile polarization entanglement from Bragg reflection waveguides Opt. Lett. 42, 2102-2105 (2017). Generation of unipolar half-cycle pulses via unusual reflection of a single-cycle pulse from an optically thin metallic or dialectric layer Opt. Lett. 42, 2189-2192 (2017). Development of a high-power blue laser (445 nm) for material processing Opt. Lett. 42, 2251-2254 (2017). Relativistic electron beams driven by kHz single-cycle light pulses Nature Photon. 10, 293-296 (2017). Chip-based wide field-of-view nanoscopy Nature Photon. 10, 322-328 (2017). Quantum entanglement probability amplitudes in multiple propagation channels: An interferometric approach Optik 139, 222-230 (2017). Efficient concentration of high-energy x-rays for diffraction-limited imaging resolution Optica 4, 492-495 (2017). Coherent beam combining of a narrow-linewidth long-pulse Er3+-doped multicore fiber amplifier Opt. Ex. 25, 9528-9534 (2017). Room-temperature-deposited dielectrics and superconductors for integrated photonics Opt. Ex. 25, 10322-10334 (2017). Two-color hyper-entangled photon pairs generation in a cold 85Rb atomic ensemble Opt. Ex. 25, 10145-10152 (2017). Self-stabilization of an optical frequency comb using a short-path-length interferometer Opt. Lett. 42, 1680-1683 (2017). Dynamic Stark shift induced by a single photon packet Opt. Lett. 42, 1692-1695 (2017). High-power frequency comb source tunable from 2.7 to 4.2 µm based on difference frequency generation pumped by an Yb-doped fiber laser Opt. Lett. 42, 1748-1751 (2017). Continuously wavelength-tunable high harmonic generation via soliton dynamics Opt. Lett. 42, 1769-1771 (2017). Nonlocalized generation of correlated photon pairs in degenerate down-conversion Phys. Rev. Lett. 118, 133602 (2017). Electronic synthesis of light Optica 4, 406-411 (2017). High-energy few-cycle Yb-doped fiber amplifier source based on a single nonlinear compression stage Opt. Ex. 25, 7530-7537 (2017). Broadband silicon photonics 8 × 8 switch based on double-Mach–Zehnder element switches Opt. Ex. 25, 7538-7546 (2017). Forward and inverse solutions for three-element Risley prism beam scanners Opt. Ex. 25, 7677-7688 (2017). Phase stability of photoreceivers in intersatellite laser interferometers Opt. Ex. 25, 7999-8010 (2017). Robust overlay metrology with differential Mueller matrix calculus Opt. Ex. 25, 8491-8510 (2017). 1867–2010 nm tunable femtosecond thulium-doped all-fiber laser Opt. Ex. 25, 8997-9002 (2017). Phase noise characterization of sub-hertz linewidth lasers via digital cross correlation Opt. Lett. 42, 1217-1220 (2017). Single-longitudinal-mode ring diamond Raman laser Opt. Lett. 42, 1229-1232 (2017). Microresonator-stabilized extended-cavity diode laser for supercavity frequency stabilization Opt. Lett. 42, 1249-1252 (2017). Single-mode unidirectional-emission circular-side hexagonal resonator microlasers Opt. Lett. 42, 1309-1312 (2017). Partially coherent sources with circular coherence Opt. Lett. 42, 1512-1515 (2017). Femtosecond semiconductor laser system with resonator-internal dispersion adaptation Opt. Lett. 42, 1524-1527 (2017). Paraxial ray-tracing equations for optical systems containing triangular prisms J. Opt. Soc. Am. A 34, 361-369 (2017). Near-zero refractive index photonics Nature Photon. 10, 149–158 (2017). Nonlinear Fourier transform for optical data processing and transmission: advances and perspectives Optica 4, 307-322 (2017). Tuning out disorder-induced localization in nanophotonic cavity arrays Opt. Ex. 25, 4598-4606 (2017). Hybrid laser written waveguides in fused silica for low loss and polarization independence Opt. Ex. 25, 4845-4859 (2017). Higher order mode entanglement in a type II optical parametric oscillator Opt. Ex. 25, 4985-4993 (2017). Second harmonic generation in multimode graded-index fibers: spatial beam cleaning and multiple harmonic sideband generation Opt. Lett. 42, 971-974 (2017). Chalcogenide microresonators tailored to distinct morphologies by the shaping of glasses on silica tapers Opt. Lett. 42, 907-910 (2017). Quantum random number generator based on twin beams Opt. Lett. 42, 895-898 (2017). Discrete tuning concept for fiber-integrated lasers based on tailored FBG arrays and a theta cavity layout Opt. Lett. 42, 1125-1128 (2017). High-power thulium lasers on a silicon photonics platform Opt. Lett. 42, 1181-1184 (2017). Gain-based mechanism for pH sensing based on random lasing Phys. Rev. Appl. 7, 034005 (2017). Integrated silicon photonics for high-speed quantum key distribution Optica 4, 172-177 (2017). Short-wave infrared LEDs from GeSn/SiGeSn multiple quantum wells Optica 4, 185-188 (2017). Microfabricated devices for single objective single plane illumination microscopy (SoSPIM) Opt. Ex. 25, 1742-1745 (2017). Narrowband and tunable anomalous transmission filters for spectral monitoring in the extreme ultraviolet wavelength region Opt. Ex. 25, 1993-2008 (2017). THz streak camera method for synchronous arrival time measurement of two-color hard X-ray FEL pulses Opt. Ex. 25, 2080-2091 (2017). Multi-color operation of tunable diffractive lenses Opt. Ex. 25, 2469-2480 (2017). Pico-Kelvin thermometry and temperature stabilization using a resonant optical cavity Opt. Ex. 25, 3578-3593 (2017). High-efficiency supercontinuum generation in solid thin plates at 0.1 TW level Opt. Lett. 42, 474-477 (2017). Frequency tunable CO laser operating on the highest vibrational transition with wavelength of 8.7 µm Opt. Lett. 42, 498-501 (2017). Radially dependent angular acceleration of twisted light Opt. Lett. 42, 675-678 (2017). MEMS-tunable VCSELs using 2D high-contrast gratings Opt. Lett. 42, 823-826 (2017). Tunable laser applications Optics & Photonics News 28 (1), 14 (2017). Frequency-encoded photonic qubits for scalable quantum information processing Optica 4, 8-16 (2017). Continuously tunable pulsed Ti:Sa laser self-seeded by an extended grating cavity Opt. Ex. 25, 1123-1130 (2017). Intensity fluctuation of a gain-switched semiconductor laser for quantum key distribution systems Opt. Ex. 25, 622-634 (2017). 414 W near-diffraction-limited all-fiberized single-frequency polarization-maintained fiber amplifier Opt. Lett. 42, 1-4 (2017). High peak power cavity dumping semiconductor lasers Opt. Lett. 42, 113-116 (2017). Generation of narrowband, high-intensity, carrier-envelope phase-stable pulses tunable between 4 and 18 THz Opt. Lett. 42, 129-131 (2017). Synthesis of the Einstein–Podolsky–Rosen entanglement in a sequence of two single-mode squeezers Opt. Lett. 42, 132-134 (2017). Semiconductor laser linewidth reduction by six orders of magnitude via delayed optical feedback Opt. Lett. 42, 163-166 (2017). Light-sheet microscopy in a glass capillary: feedback holographic control for illumination beam correction Opt. Lett. 42, 350-353 (2017). Enhancement cavities for few-cycle pulses Opt. Lett. 42, 271-274 (2017). Sub-cycle optical control of current in a semiconductor: from the multiphoton to the tunneling regime Optica 3, 1358-1361 (2016). Space-borne frequency comb metrology Optica 3, 1381-1387 (2016). Fundamental limitations in spontaneous emission rate of single-photon sources Optica 3, 1418-1421 (2016). Widely tunable, narrow linewidth external-cavity gain chip laser for spectroscopy between 1.0 – 1.1 µm Opt. Ex. 24, 27403-27414 (2016). High quality entanglement on a chip-based frequency comb Opt. Ex. 24, 28731-28738 (2016). Naturally stable Sagnac–Michelson nonlinear interferometer Opt. Lett. 41, 5438-5441 (2016). One-dimensional photonic crystal slot waveguide for silicon-organic hybrid electro-optic modulators Opt. Lett. 41, 5466-5469 (2016). Measurement of optical loss in nanophotonic waveguides using integrated cavities Opt. Lett. 41, 5486-5489 (2016). Microresonator stabilized 2µm distributed-feedback GaSb-based diode laser Opt. Lett. 41, 5559-5562 (2016). Integrated finely tunable microring laser on silicon Nature Photon. 10, 719–722 (2016). Fully integrated quantum photonic circuit with an electrically driven light source Nature Photon. 10, 727–732 (2016). Fresh-slice multicolour X-ray free-electron lasers Nature Photon. 10, 745–750 (2016). Table-top milliwatt-class extreme ultraviolet high harmonic light source Optica 3, 1167-1170 (2016). All-fiber multiplexed source of high-purity single photons Optica 3, 1270-1273 (2016). Ultra-narrow linewidth full C-band tunable single-frequency linear-polarization fiber laser Opt. Ex. 24, 26209-26214 (2016). High power narrow-linewidth linearly-polarized 1610 nm Er:Yb all-fiber MOPA Opt. Ex. 24, 26255-26260 (2016). High-power, widely tunable, green-pumped femtosecond BiB3O6 optical parametric oscillator Opt. Lett. 41, 4851-4854 (2016). Ultra-stable high average power femtosecond laser system tunable from 1.33 to 20 µm Opt. Lett. 41, 4863-4866 (2016). Light sheet fluorescence microscopy using high-speed structured and pivoting illumination Opt. Lett. 41, 5015-5018 (2016). Spectral correlation and interference in non-degenerate photon pairs at telecom wavelengths Opt. Lett. 41, 5074-5077 (2016). Quantum teleportation with independent sources and prior entanglement distribution over a network Nature Photon. 10, 671–675 (2016). Quantum teleportation across a metropolitan fibre network Nature Photon. 10, 676–680 (2016). Random lasers for broadband directional emission Optica 3, 1035-1038 (2016). Single pixel camera ophthalmoscope Optica 3, 1056-1059 (2016). Holography with a neutron interferometer Opt. Ex. 24, 22528-22535 (2016). Generation of tripartite entanglement from cascaded four-wave mixing processes Opt. Ex. 24, 23459-23470 (2016). Microfiber-microcavity system for efficient single photon collection Opt. Ex. 24, 23471-23480 (2016). Nanoimprinted distributed feedback lasers of solution processed hybrid perovskites Opt. Ex. 24, 23677-23684 (2016). Spatio-temporal characterization of intense few-cycle 2 µm pulses Opt. Ex. 24, 24786-24798 (2016). Tunable dysprosium laser Opt. Lett. 41, 4496-4498 (2016). Nonlinear pulse compression in a multi-pass cell Opt. Lett. 41, 4511-4514 (2016). Experimental observation of coherent cavity soliton frequency combs in silica microspheres Opt. Lett. 41, 4613-4616(2016). Generation of blue light by sum-frequency generation of a spectrally combined broad-area diode laser array Opt. Lett. 41, 4712-4714 (2016). Hologram of a single photon Nature Photon. 10, 576-579 (2016). High-resolution adaptive imaging of a single atom Nature Photon. 10, 606-610 (2016). Highly tunable heterogeneously integrated III-V on silicon sampled-grating distributed Bragg reflector lasers operating in the O-band Opt. Ex. 24, 20895-20903 (2016). Integrated optic polarization splitter based on total internal reflection from a birefringent polymer Opt. Ex. 24, 21012-21019 (2016). Photothermal effects in ultra-precisely stabilized tunable microcavities Opt. Ex. 24, 21205-21215 (2016). Efficient, tunable flip-chip-integrated III-V/Si hybrid external-cavity laser array Opt. Ex. 24, 21454-21462 (2016). Generation of a frequency comb spanning more than 3.6 octaves from ultraviolet to mid infrared Opt. Lett. 41, 3980-3983 (2016). Estimation of optical rotation of chiral molecules with weak measurements Opt. Lett. 41, 4032-4035 (2016). Green high-power tunable external-cavity GaN diode laser at 515 nm Opt. Lett. 41, 4154-4157 (2016). Time-domain ptychography of over-octave-spanning laser pulses in the single-cycle regime Opt. Lett. 41, 4218-4221 (2016). Energetic sub-2-cycle laser with 216 W average power Opt. Lett. 41, 4332-4335 (2016). Generation of intense 100 fs solitons tunable from 2 to 4.3 µm in fluoride fiber Optica 3, 948-951 (2016). Topological protection of photonic path entanglement Optica 3, 925-930 (2016). Self-homodyne-enabled generation of indistinguishable photons Optica 3, 931-936 (2016). Phase-locked laser arrays through global antenna mutual coupling Nature Photon. 10, 541–546 (2016). Interscale mixing microscopy: far-field imaging beyond the diffraction limit Optica 3, 803-808 (2016). High-power 100 fs semiconductor disk lasers Optica 3, 844-852 (2016). High luminous efficacy green light-emitting diodes with AlGaN cap layer Opt. Ex. 24, 17868-17873 (2016). Large spontaneous-emission enhancements in metallic nanostructures: towards LEDs faster than lasers Opt. Ex. 24, 17916-17927 (2016). High-repetition-rate and high-photon-flux 70 eV high-harmonic source for coincidence ion imaging of gas-phase molecules Opt. Ex. 24, 18133-18147 (2016). Room temperature continuous wave operation of InAs-based quantum cascade lasers at 15 µm Opt. Ex. 24, 18799-18806 (2016). Wavelength independent all-fiber angle-tunable polarization rotator based on geometric effects Opt. Ex. 24, 19366-19371 (2016). Experimental demonstration of a 200-Gbit/s free-space optical link by multiplexing Laguerre–Gaussian beams with different radial indices Opt. Lett. 41, 3447-3450 (2016). Field demonstration of a continuous-variable quantum key distribution network Opt. Lett. 41, 3511-3514 (2016). Powerful 100-fs-scale Kerr-lens mode-locked thin-disk oscillator Opt. Lett. 41, 3567-3570 (2016). Electro-optic spectral tuning in a fan-out double-prism domain periodically poled lithium niobate intracavity optical parametric oscillator Opt. Lett. 41, 3904-3907 (2016). Frequency-domain Hong–Ou–Mandel interference Nature Photon. 10, 441–444 (2016). Large Brillouin amplification in silicon Nature Photon. 10, 463–467 (2016). Atom–light superposition oscillation and Ramsey-like atom–light interferometer Optica 3, 775-780 (2016). 8 X 8 X 40 Gbps fully integrated silicon photonic network on chip Optica 3, 785-786 (2016). Octave-band tunable optical vortex parametric oscillator Opt. Ex. 24, 15204-15211 (2016). Four-channel optically pumped atomic magnetometer for magnetoencephalography Opt. Ex. 24, 15403-15415 (2016). Dark-state lasers: mode management using exceptional points Opt. Lett. 41, 3049-3052 (2016). Hetero-core III-V/Si microlaser Opt. Lett. 41, 3149-3152 (2016). Beyond the diffraction limit via optical amplification Opt. Lett. 41, 3181-3184 (2016). 1 J, 0.5 kHz repetition rate picosecond laser Opt. Lett. 41, 3339-3342 (2016). Effect of gold nanoparticles on the optical properties of Rhodamine 6G Eur. Phys. J. D 70, (2016). Solid state rhodamine 6G microcavity laser IEEE Photo. Tech. Lett. 28, (2016). Large-scale Ising spin network based on degenerate optical parametric oscillators Nature Photon. 10, 415–419 (2016). Realization of a timescale with an accurate optical lattice clock Optica 3, 563-569 (2016). Sub-kilohertz laser linewidth narrowing using polarization spectroscopy Opt. Ex. 24, 11396-11406 (2016). LEO-to-ground polarization measurements aiming for space QKD using Small Optical TrAnsponder (SOTA) Opt. Ex. 24, 12254-12266 (2016). On spectral and temporal coherence of x-ray free-electron laser beams Opt. Ex. 24, 13081-13090 (2016). Extended femtosecond laser wavelength range to 330 nm in a high power LBO based optical parametric oscillator Opt. Ex. 24, 13250-13257 (2016). Spectral compression of femtosecond pulses using chirped volume Bragg gratings Opt. Lett. 41, 2394-2397 (2016). Zinc selenide-based large aperture photo-controlled deformable mirror Opt. Lett. 41, 2573-2575 (2016). Ring-shaped spectra of parametric downconversion and entangled photons that never meet Opt. Lett. 41, 2827-2830 (2016). GaSb-based vertical-cavity surface-emitting lasers with an emission wavelength at 3µm Opt. Lett. 41, 2799-2802 (2016). Ronald W. Waynant Optical Society (2016). Electrically pumped continuous-wave III–V quantum dot lasers on silicon Nature Photon. 10, 307–311 (2016). Controlled generation of higher-order Poincaré sphere beams from a laser Nature Photon. 10, 327–332 (2016). Near-optimal single-photon sources in the solid state Nature Photon. 10, 340–345 (2016). Quantitative characterization of X-ray lenses from two fabrication techniques with grating interferometry Opt. Ex. 24, 9168-9177 (2016). Wavelength-tunable split-and-delay optical system for hard X-ray free-electron lasers Opt. Ex. 24, 9187-9201 (2016). Heralded single-photon source utilizing highly nondegenerate, spectrally factorable spontaneous parametric downconversion Opt. Ex. 24, 10733-10747 (2016). Efficient and pure femtosecond-pulse-length source of polarization-entangled photons Opt. Ex. 24, 10869-10879 (2016). Design of intense 1.5-cycle pulses generation at 3.6 µm through a pressure gradient hollow-core fiber Opt. Ex. 24, 9280-9287 (2016). 100 J-level nanosecond pulsed diode pumped solid state laser Opt. Lett. 41, 2089-2092 (2016). Mid-infrared supercontinuum generation spanning 2.0 to 15.1 µm in a chalcogenide step-index fiber Opt. Lett. 41, 2117-2120 (2016). Realization of a compact polarization splitter-rotator on silicon Opt. Lett. 41, 2346-2349 (2016). Multi-photon entanglement in high dimensions Nature Photon. 10, 248–252 (2016). Highly efficient quantum dot near-infrared light-emitting diodes Nature Photon. 10, 253–257 (2016). Optical encryption in the longitudinal domain of focused fields Opt. Ex. 24, 6793-6801 (2016). Static Fourier transform infrared spectrometer Opt. Ex. 24, 7767-7776 (2016). Frequency comb metrology with an optical parametric oscillator Opt. Ex. 24, 8370-8381 (2016). External cavity diode laser based upon an FBG in an integrated optical fiber platform Opt. Ex. 24, 8391-8398 (2016). Few-photon heterodyne spectroscopy Opt. Lett. 41, 1502-1505 (2016). Watt-level second-harmonic generation at 589 nm with a PPMgO:LN ridge waveguide crystal pumped by a DBR tapered diode laser Opt. Lett. 41, 1530-1533 (2016). Non-destructive identification of twisted light Opt. Lett. 41, 1574-1577 (2016). 110 W 1678 nm laser based on high-efficiency optical parametric interactions pumped by high-power slab laser Opt. Lett. 41, 1608-1611 (2016). Frequency modulated lasers for interferometric optical gyroscopes/s Opt. Lett. 41, 1773-1776 (2016). 100 W average power femtosecond laser at 343 nm/s Opt. Lett. 41, 1885-1888 (2016). Optical features of spherical gold nanoparticle-doped solid-state dye laser medium J. Electron. Mat. 45, (2016). Attosecond pulses measured from the attosecond lighthouse Nature Photon. 10, 171–175 (2016). Coherent control with a short-wavelength free-electron laser Nature Photon. 10, 176–179 (2016). Thin-disk ring amplifier for high pulse energy Opt. Ex. 24, 4375-4381 (2016). Fabrication of 50-nm period gratings on GaN in air through plasmonic near-field ablation induced by ultraviolet femtosecond laser pulses Opt. Ex. 24, 4648-4653 (2016). Compact, CO2-stabilized tuneable laser at 2.05 microns Opt. Ex. 24, 4872-4880 (2016). Double-heralded generation of two-photon-states by spontaneous four-wave-mixing in the presence of noise Opt. Ex. 24, 5809-5821 (2016). Narrow linewidth, single mode 3 kW average power from a directly diode pumped ytterbium-doped low NA fiber amplifier Opt. Ex. 24, 6011-6020 (2016). Demonstration of a 280 Gbit/s free-space space-division-multiplexing communications link utilizing plane-wave spatial multiplexing Opt. Lett. 41, 851-854 (2016). Rear-side resonator architecture for the passive coherent combining of high-brightness laser diodes Opt. Lett. 41, 950-953 (2016). Cavity-based mid-IR fiber gas laser pumped by a diode laser Optica 3, 218-221 (2016). Fabrication and application of a graphene polarizer with strong saturable absorption Photon. Res. 4, 41-44 (2016). 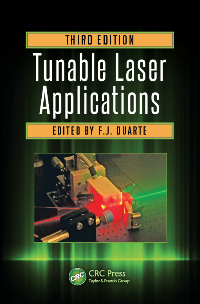 Tunable Laser Applications, 3rd Edition (CRC, New York, 2016). Infrared spectroscopy with visible light Nature Photon. 10, 98-101 (2016). Hanbury Brown and Twiss measurements in curved space Nature Photon. 10, 98-101 (2016). An ultra-narrow linewidth solution-processed organic laser Nature Light Sci. Appl. 5, e16026 (2016). Thermal impact of near-infrared laser in advanced noninvasive optical brain imaging Neurophoton. 3, 015001 (2016). Highly efficient optical quantum memory with long coherence time in cold atoms Optica 3, 100-107 (2016). Active temporal and spatial multiplexing of photons Optica 3, 127-132 (2016). Secure polarization-independent subcarrier quantum key distribution in optical fiber channel using BB84 protocol with a strong reference Opt. Ex. 24, 2619-2633 (2016). Polarization-entangled photon-pair source obtained via type-II non-collinear SPDC process with PPKTP crystal Opt. Ex. 24, 2941-2953 (2016). Tuning whispering gallery lasing modes from polymer fibers under tensile strain Opt. Lett. 41, 551-554 (2016). High Q factor InP photonic crystal nanobeam cavities on silicon wire waveguides Opt. Lett. 41, 579-582 (2016). Continuous-wave, single-frequency 229? ?nm laser source for laser cooling of cadmium atoms Opt. Lett. 41, 705-708 (2016). No free lunch: the trade-off between heralding rate and efficiency in microresonator-based heralded single photon sources Opt. Lett. 41, 788-791 (2016). Observation of gravitational waves from a binary black hole merger Phys. Rev. Lett. 116, 061102 (2016). Optically pumped planar waveguide lasers: Part II: Gain media, laser systems, and applications Prog. Quantum Electron. 45 (2016). Technology Review: Top 20 technology picks for 2015 showcase wide scope of photonics advances Laser Focus World 51 (12), 20-28 (2015). Measuring and structuring the spatial coherence length of organic light-emitting diodes Laser Photon. Rev. 10, (2016). Linewidth of a high pulse repetition rate (~20 kHz) class dye laser Laser Phys. 26, 015003 (2016). Stochastic optical sensing Optica 3, 58-63 (2016). Broadband and ultra-broadband modular half-wave plates Opt. Comm. (2016). CdSxSe1-x/ZnS semiconductor nanocrystal laser with sub 10kW/cm2 threshold and 40nJ emission output at 600 nm Opt. Ex. 24, A146-A153 (2016). Visible-to-visible four-photon ultrahigh resolution microscopic imaging with 730-nm diode laser excited nanocrystals Opt. Ex. 24, A302-A311 (2016). High-gain mid-infrared optical-parametric generation pumped by microchip laser Opt. Ex. 24, 1046-1052 (2016). Polarization-encoded chirped pulse amplification in Ti:sapphire: a way toward few-cycle petawatt lasers Opt. Lett. 41, 25-28 (2016). High-power and widely tunable mid-infrared optical parametric amplification based on PPMgLN Opt. Lett. 41, 49-51 (2016). Making cancer visible - dyes in surgical oncology Surgical Oncology 25, (2016). 5.7 W cw single-frequency laser at 671 nm by single-pass second harmonic generation of a 17.2 W injection-locked 1342 nm Nd:YVO4 ring laser using periodically poled MgO:LiNbO3 Appl. Opt. 54, 9954-9959 (2015). Table-top femtosecond soft X-ray laser by collisional ionization gating Nature Photon. 9, 817-821 (2015). Capacity limits of spatially multiplexed free-space communication Nature Photon. 9, 822-826 (2015). X-ray imaging with scintillator-sensitized hybrid organic photodetectors Nature Photon. 9, 843-848 (2015). Two-dimensional polymer grating and prism on Bloch surface waves platform Opt. Ex. 23, 31640-31647 (2015). Experimental demonstration on two-input optical high-base hybrid doubling and subtraction functions in graphene Opt. Ex. 23, 31728-31735 (2015). 140-fs duration and 60-W peak power blue-violet optical pulses generated by a dispersion-compensated GaInN mode-locked semiconductor laser diode using a nonlinear pulse compressor Opt. Ex. 23, 31766-31771 (2015). High performance organic distributed Bragg reflector lasers fabricated by dot matrix holography Opt. Ex. 23, 31926-31935 (2015). Quantum uncertainty in the beam width of spatial optical modes Opt. Ex. 23, 32777-32787 (2015). Single-shot implementation of dispersion-scan for the characterization of ultrashort laser pulses Opt. Ex. 23, 32803-32808 (2015). High-average-power 2 µm few-cycle optical parametric chirped pulse amplifier at 100 kHz repetition rate Opt. Lett. 40, 5546-5549 (2015). Polarization-rotating, Bragg-grating filters on silicon-on-insulator strip waveguides using asymmetric periodic corner corrugations Opt. Lett. 40, 5578-5581 (2015). Continuous-wave 193.4 nm laser with 120 mW output power Opt. Lett. 40, 5590-5593 (2015). Dispersion-based color projection using masked prisms Comp. Graph. Forum 34, 329–338 (2015). Excitation energy transfer in artificial antennas: from photoactive materials to molecular assemblies Int. Rev. Phys. Chem. 34, 515-556 (2015). Simple and versatile long range swept source for optical coherence tomography applications J. Opt. 17, (2015). High-power sub-two-cycle mid-infrared pulses at 100 MHz repetition rate Nature Photon. 9, 721–724 (2015). Undoing the effect of loss on quantum entanglement Nature Photon. 9, 764–768 (2015). Quantitative test of general theories of the intrinsic laser linewidth Opt. Ex. 23, 28316-28340 (2015). Universal ultrafast detector for short optical pulses based on graphene Opt. Ex. 23, 28728-28735 (2015). CW-pumped telecom band polarization entangled photon pair generation in a Sagnac interferometer Opt. Ex. 23, 28792-28800 (2015). Ptychographic reconstruction of attosecond pulses Opt. Ex. 23, 29502-29513 (2015). Detection of genuine tripartite entanglement and steering in hybrid optomechanics Opt. Ex. 23, 30104-30117 (2015). Ultralow-threshold cascaded Brillouin microlaser for tunable microwave generation Opt. Lett. 40, 4971-4974 (2015). Low-threshold lasing at 1975 nm in thulium-doped tellurite glass microspheres Opt. Lett. 40, 5227-5230 (2015). Intra-cavity upconversion to 631 nm of images illuminated by an eye-safe ASE source at 1550 nm Opt. Lett. 40, 5315-5318 (2015). On-chip diamond Raman laser Optica 2, 924-928 (2015). Proposed new approach to the design of universal logic gates using the electro-optic effect in Mach–Zehnder interferometers Appl. Opt. 54, 8479-8484 (2015). Filterless narrowband visible photodetectors Nature Photon. 9, 687–694 (2015). Intrinsic linewidth of quantum cascade laser frequency combs Optica 2, 836-840 (2015). Classically entangled optical beams for high-speed kinematic sensing Optica 2, 864-868 (2015). Characterization of a swept external cavity quantum cascade laser for rapid broadband spectroscopy and sensing Opt. Ex. 23, 25553-25569 (2015). 160 W 800 fs Yb:YAG single crystal fiber amplifier without CPA Opt. Ex. 23, 25883-25888 (2015). Generalized Poincaré sphere Opt. Ex. 23, 26586-26595 (2015). Midinfrared frequency comb from self-stable degenerate GaAs optical parametric oscillator Opt. Ex. 23, 26596-26603 (2015). SU-8 nanoimprint fabrication of wire-grid polarizers using deep-UV interference lithography Opt. Lett. 40, 4396-4399 (2015). Time-delay concealment and complexity enhancement of an external-cavity laser through optical injection Opt. Lett. 40, 4416-4419 (2015). Over 100 W ultra-flat broadband short-wave infrared supercontinuum generation in a thulium-doped fiber amplifier Opt. Lett. 40, 4787-4790 (2015). Sub-kilohertz linewidth narrowing of a mid-infrared optical parametric oscillator idler frequency by direct cavity stabilization Opt. Lett. 40, 4743-4746 (2015). Electrical control of the distributed feedback organic semiconductor laser based on holographic polymer dispersed liquid crystal grating Org. Electron. 27, 101–106 (2015). Stable and mechanically tunable vertical-cavity surface-emitting lasers (VCSELs) based on dye doped elastic polymeric thin films Dyes Pigm. 116, 114-118 (2015). Diffusion-driven continuous-wave-pumped organic dye lasers Laser Photon. Rev. 9 (2015). Intracellular microlasers Nature Photon. 9, 572–576 (2015). Direct optical nanoscopy with axially localized detection Nature Photon. 9, 587–593 (2015). Ultracompact quantum splitter of degenerate photon pairs Optica 2, 779-782 (2015). Fiber-integrated concept to electrically tune pulsed fiber lasers based on step-chirped fiber Bragg grating arrays Opt. Ex. 23, 19634-19645 (2015). T-shaped single-photon router Opt. Ex. 23, 22955-22962 (2015). Software reconfigurable highly flexible gain switched optical frequency comb source Opt. Ex. 23, 23225-23235 (2015). Reducing thermal crosstalk in ten-channel tunable slotted-laser arrays Opt. Ex. 23, 23380-23393 (2015). Widely tunable mid-infrared fiber laser source based on soliton self-frequency shift in microstructured tellurite fiber Opt. Lett. 40, 4094-4097 (2015). Ultra-broad gain quantum cascade lasers tunable from 6.5 to 10.4 µm Opt. Lett. 40, 4158-4161 (2015). Mid-infrared 333 MHz frequency comb continuously tunable from 1.95 to 4.0 µm Opt. Lett. 40, 4178-4181 (2015). Technology and engineering aspects of high power pulsed single longitudinal mode dye lasers Prog. Quantum Electron. 43 (2015). An asymmetric BODIPY triad with panchromatic absorption for high-performance red-edge laser emission Chem. Commun. 51, 11382-11385 (2015). Tunable high-repetition-rate femtosecond few-hundred keV electron source J. Phys. B: 48,045601 (2015). Room-temperature lasing in a single nanowire with quantum dots Nature Photon. 9, 501–505 (2015). All-plasmonic Mach–Zehnder modulator enabling optical high-speed communication at the microscale Nature Photon. 9, 525–528 (2015). Harnessing high-dimensional hyperentanglement through a biphoton frequency comb Nature Photon. 9, 536–542 (2015). Generation of Kerr combs centered at 4.5 µm in crystalline microresonators pumped with quantum-cascade lasers Opt. Lett. 40, 3468-3471 (2015). Remote mid-infrared photoacoustic spectroscopy with a quantum cascade laser Opt. Lett. 40, 3476-3479 (2015). Design of mechanically-tunable photonic crystal split-beam nanocavity Opt. Lett. 40, 3504-3507 (2015). Diode-side-pumped continuous wave Nd3+:YVO4 self-Raman laser at 1176 nm Opt. Lett. 40, 3524-3527 (2015). Dual-transverse-mode microsquare lasers with tunable wavelength interval Opt. Lett. 40, 3548-3551 (2015). Synthesis and characterization of fluorene-based copolymers as electron-transporting materials for PLEDs Org. Electron. 25, 206-211 (2015). Compact tunable laser with InGaAsP photonic crystal nanorods for C-band communication Selec. Top. Quantum Electron. 21, 4900505 (2015). The energy transfer mechanism of a photoexcited and electroluminescent organic hybrid thin film of blue, green, and red laser dyes Nanoscale Res. Lett. 10, 194 (2015). Quantum cascade laser frequency stabilization at the sub-Hz level Nature Photon. 9, 456–460 (2015). Macroscopic and direct light propulsion of bulk graphene material Nature Photon. 9, 471–476 (2015). Shifting the quantum-classical boundary: theory and experiment for statistically classical optical fields Optica 2, 611-615 (2015). Femtosecond fiber lasers reach the mid-infrared Optica 2, 623-626 (2015). Encapsulation process for diffraction gratings Opt. Ex. 23, 17955-17965 (2015). Theory and simulation of multi-channel interference (MCI) widely tunable lasers Opt. Ex. 23, 18040-18051 (2015). Single-mode selection for hard x-ray cavity resonance Opt. Lett. 40, 2969-2972 (2015). Optical torque on small bi-isotropic particles Opt. Lett. 40, 3021-3024 (2015). Integrated heterodyne interferometer with on-chip modulators and detectors Opt. Lett. 40, 3097-3100 (2015). Speckle-based spectrometer Opt. Lett. 40, 3264-3267 (2015). On-chip optical lattice for cold atom experiments Opt. Lett. 40, 3368-3371 (2015). Tunable bandwidth optical rotator Photon. Res. 3, 177-179 (2015). An integrated-nanophotonics polarization beamsplitter with 2.4 × 2.4 µm2 footprint Nature Photon. 9, 378-382 (2015). Synchronized pulses generated at 20 eV and 90 eV for attosecond pump–probe experiments Nature Photon. 9, 383-387 (2015). Focusing and imaging in microsphere-based microscopy Opt. Ex. 23, 12337-13353 (2015). Ultra-large field-of-view two-photon microscopy Opt. Ex. 23, 13833-13847 (2015). Deep frequency modulation interferometry Opt. Ex. 23, 14753-14762 (2015). Generating intense fully coherent soft x-ray radiation based on a laser-plasma accelerator Opt. Ex. 23, 14993-15002 (2015). Efficient diamond Raman laser generating 65 fs pulses Opt. Ex. 23, 15504-15513 (2015). AlGaAs/GaAs/InGaAs pnp-type vertical-cavity surface-emitting transistor-lasers Opt. Ex. 23, 15680-15699 (2015). Complete three photon Hong-Ou-Mandel interference at a three port device Opt. Ex. 23, 15833-15847 (2015). High-power synchronously pumped femtosecond Raman fiber laser Opt. Lett. 40, 2529-2532 (2015). Miniaturized fiber-coupled confocal fluorescence microscope with an electrowetting variable focus lens using no moving parts Opt. Lett. 40, 2553-2556 (2015). Extended ultrahigh-Q-cavity diode laser Opt. Lett. 40, 2596-2599 (2015). Tilt-tuned etalon locking for tunable laser stabilization Opt. Lett. 40, 2696-2698 (2015). Cr:ZnS laser-pumped subharmonic GaAs optical parametric oscillator with the spectrum spanning 3.6–5.6 µm Opt. Lett. 40, 2906-2908 (2015). Quantum entanglement physics secures space-to-space interferometric communications Laser Focus World 51 (4), 54-58 (2015). Quantum many-body models with cold atoms coupled to photonic crystals Nature Photon. 9, 326-331 (2015). Raman quantum memory of photonic polarized entanglement Nature Photon. 9, 332-338 (2015). Stimulated emission at 288 nm from silicon-doped AlGaN-based multiple-quantum-well laser Opt. Ex. 23, 11334-11340 (2015). Small divergence substrate emitting quantum cascade laser by subwavelength metallic grating Opt. Ex. 23, 11462-11469 (2015). The first- and second-order temporal interference between thermal and laser light Opt. Ex. 23, 11868-11878 (2015). Quantifying noise in ultrafast laser sources and its effect on nonlinear applications Opt. Ex. 23, 12037-12044 (2015). Improved performance of tunable single-mode laser array based on high-order slotted surface grating Opt. Ex. 23, 12072-12078 (2015). 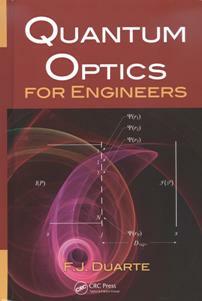 Optics Journal (Opt. J.) is back on line Opt. J. 1-9, (2007-2015). Second-harmonic generation of light at 245 nm in a lithium tetraborate whispering gallery resonator Opt. Lett. 40, 1932-1935 (2015). Definition of the waist plane for general astigmatic Gaussian beams Opt. Lett. 40, 1936-1939 (2015). Atomic Faraday filter with equivalent noise bandwidth less than 1 GHz Opt. Lett. 40, 2000-2003 (2015). Quantum cascade laser-based mid-IR frequency metrology system with ultra-narrow linewidth and 1 × 10-13-level frequency instability Opt. Lett. 40, 2289-2292 (2015). 400-W near diffraction-limited single-frequency all-solid photonic bandgap fiber amplifier Opt. Lett. 40, 2297-2300 (2015). Optical, photo-physical properties and photostability of pyrromethene (PM-597) in ionic liquids as benign green-solvents J. Lumines. 161, 221-228 (2015). Study of output power of very high pulse repetition rate (18 kHz) dye laser pumped by frequency doubled diode pumped Nd: YAG laser Laser Phys. 25, 055001 (2015). Random laser in biological tissues impregnated with a fluorescent anticancer drug Laser Phys. Lett. 12, 045805 (2015). Femtosecond laser direct writing of single mode polymer micro ring laser with high stability and low pumping threshold Opt. Ex. 23, 8310-8316 (2015). Quantum cascade lasers: from tool to product Opt. Ex. 23, 8462-8475 (2015). Influence of laser linewidth and polarization modulator length on polarization shift keying for free space optical communication Opt. Ex. 23, 8639-8649 (2015). Tracing the trajectory of photons through Fourier spectrum Opt. Ex. 23, 10032-10039 (2015). 300-mW narrow-linewidth deep-ultraviolet light generation at 193 nm by frequency mixing between Yb-hybrid and Er-fiber lasers Opt. Ex. 23, 10564-10572 (2015). Heterogeneously integrated III-V laser on thin SOI with compact optical vertical interconnect access Opt. Lett. 40, 1378-1381 (2015). Narrow-spectral-linewidth silicon photonic wavelength-tunable laser with highly asymmetric Mach–Zehnder interferometer Opt. Lett. 40, 1504-1507 (2015). Sensing earth’s rotation with a helium–neon ring laser operating at 1.15 µm Opt. Lett. 40, 1705-1708 (2015). Tunable high-repetition-rate femtosecond few-hundred keV electron source J. Phys. B: At. Mol. Opt. Phys. 48, 045601 (2015). Simultaneous observation of the quantization and the interference pattern of a plasmonic near-field Nature Commun. 6, 6407 (2015). Gravitational and relativistic deflection of X-ray superradiance Nature Photon. 9, 169-173 (2015). Dual-microcavity narrow-linewidth Brillouin laser Optica 2, 225-232 (2015). High performance, low dissipation quantum cascade lasers across the mid-IR range Opt. Ex. 23, 5477-5484 (2015). 1.01 kW superfluorescent source in all-fiberized MOPA configuration Opt. Ex. 23, 5485-5490 (2015). Dual-comb modelocked laser Opt. Ex. 23, 5521-5531 (2015). Broadband superluminescence, 5.9µm to 7.2µm, of a quantum cascade gain device Opt. Ex. 23, 7184-7189 (2015). Ultra-small wavelength splitters in a subwavelength plasmonic waveguide Opt. Lett. 40, 685-688 (2015). On a quasi-relativistic formula in polarization theory Opt. Lett. 40, 693-696 (2015). Monolithic diamond Raman laser Opt. Lett. 40, 930-933 (2015). Femtosecond laser writing in the monoclinic RbPb2Cl5:Dy3+ crystal Opt. Mat. 42 (2015). Coumarin–BODIPY hybrids by heteroatom linkage: versatile, tunable and photostable dye lasers for UV irradiation Phys. Chem. Chem. Phys. 17, 8239-8247 (2015). 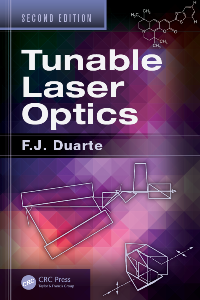 Tunable Laser Optics, 2nd Edition (CRC, New York, 2015). Stable and mechanically tunable vertical-cavity surface-emitting lasers (VCSELs) based on dye doped elastic polymeric thin films Dyes Pigm. 116 (2015). A borane laser Nature Commun. 6, 5958 (2015). High power spiral cavity quantum cascade superluminescent emitter Opt. Ex. 23, 2713-2719 (2014). The MBE growth and optimization of high performance terahertz frequency quantum cascade lasers Opt. Ex. 23, 2720-2729 (2015). Broadband terahertz amplification in a heterogeneous quantum cascade laser Opt. Ex. 23, 3117-3125 (2015). Mechanically tunable organic vertical-cavity surface emitting lasers (VCSELs) for highly sensitive stress probing in dual-modes Opt. Ex. 23, 4385-4396 (2015). Highly efficient 10 cm long fiber laser Opt. Lett. 40, 407-410 (2015). Switchable dual-polarization external cavity tunable laser Opt. Lett. 40, 447-450 (2015). Self-healing organic-dye-based random lasers Opt. Lett. 40, 577-580 (2015). CW hollow-core optically pumped I2 fiber gas laser Opt. Lett. 40, 605-608 (2015). The optics site opticsjournal.com is down due to maintenance and reorganization. Crystalline waveguide lasers in the visible and near-infrared spectral range IEEE Selec. Topics Quantum Electron. 21, 160223 (2015). Photoluminescence of rhodamine 6G in plasmonic field of Au nanoparticles J. Lumines. 158, 294-300 (2015). Conformal transformation optics Nat. Commun. 9, 15-23 (2015). Octave-spanning semiconductor laser Nat. Commun. 9, 42-47 (2015). Photon number resolution enables quantum receiver for realistic coherent optical communications Nat. Commun. 9, 48-53 (2015). Fabrication of 3D photonic components on bulk crystalline silicon Opt. Ex. 23, 121-129 (2015). 2000-fold parallelized dual-color STED fluorescence nanoscopy Opt. Ex. 23, 211-223 (2014). All-fiber DFB laser operating at 2.8 µm Opt. Lett. 40, 81-84 (2015). High-energy chirped- and divided-pulse Sagnac femtosecond fiber amplifier Opt. Lett. 40, 89-92 (2015). Nearly transform-limited sub-20-fs pulses at 1065 nm and >10 nJ enabled by a flat field ultrafast pulse shaper Opt. Lett. 40, 253-256 (2015). Optical and Schottky diode performance of Au/4-hydroxy Coumarin/ITO heterojunction Optik 126, 24-25 (2015). Nondispersive optical activity of meshed helical metamaterials Nat. Commun. 5, 5435 (2014). Network of time-multiplexed optical parametric oscillators as a coherent Ising machine Nat. Photon. 8, 937–942 (2014). Measuring the temporal structure of few-femtosecond free-electron laser X-ray pulses directly in the time domain Nat. Photon. 8, 950–957 (2014). Fast and highly resolved capture of the joint spectral density of photon pairs Optica 1, 281-284 (2014). Ultra-high-efficiency metamaterial polarizer Optica 1, 356-360 (2014). STED-SPIM made simple Opt. Ex. 22, 30852-30864 (2014). Tri-channel single-mode terahertz quantum cascade laser Opt. Lett. 39, 6612-6615 (2014). Yellow laser performance of Dy3+ in co-doped Dy,Tb:LiLuF4 Opt. Lett. 39, 6628-6631 (2014). 3D direct laser writing using a 405 nm diode laser3+ in co-doped Dy,Tb:LiLuF4 Opt. Lett. 39, 6847-6850 (2014). 22 GW peak-power fiber chirped-pulse-amplification system4 Opt. Lett. 39, 6875-6878 (2014). A long-range polarization-controlled optical tractor beam Nat. Photon. 8, 846–850 (2014). Ultra-wideband all-fiber tunable Tm/Ho-co-doped laser at 2 µm Opt. Ex. 22, 25976-25983 (2014). On-chip frequency comb generation at visible wavelengths via simultaneous second- and third-order optical nonlinearities Opt. Ex. 22, 26517-26525 (2014). Revealing the time-dependent polarization of ultrashort pulses with sub-cycle resolution Opt. Ex. 22, 26967-26975 (2014). Space-bound optical source for satellite-ground decoy-state quantum key distribution Opt. Ex. 22, 27281-27289 (2014). A linewidth-narrowed and frequency-stabilized dye laser for application in laser cooling of molecules Opt. Ex. 22, 28645-28652 (2014). Q-switched laser-assisted grazing incidence pumping (QAGRIP) for efficient soft x-ray laser generation Opt. Lett. 39, 6102-6105 (2014). Narrow linewidth 1560? ?nm InGaAsP split-contact corrugated ridge waveguide DFB lasers Opt. Lett. 39, 6197-6200 (2014). Automatic laser welding and milling with in situ inline coherent imaging/s Opt. Lett. 39, 6217-6220 (2014). Pyrene-based BODIPY: synthesis, photophysics and lasing properties under UV-pumping radiation RSC Adv. 4, 38119-38123 (2014). Optical properties and photocatalytic activity of Nd-doped ZnO powders Trans. Nonferrous Met. Soc. China 24, 1434-1439 (2014). Vertical-cavity surface-emitting laser in the long-wavelength (700 nm) region in the visible by energy transfer between organic dyes Appl. Phys. B 115, 583–588 (2014). Quantum teleportation on a photonic chip Nat. Photon. 8, 770–774 (2014). Quantum teleportation from a telecom-wavelength photon to a solid-state quantum memory Nat. Photon. 8, 775–778 (2014). Direct generation of three-photon polarization entanglement Nat. Photon. 8, 801–807 (2014). High power mid-infrared supercontinuum generation in a single-mode ZBLAN fiber with up to 21.8 W average output power Opt. Ex. 22, 24384-24391 (2014). Diode-pumped, mechanically-flexible polymer DFB laser encapsulated by glass membranes Opt. Ex. 22, 24160-24168 (2014). Intense Cr:forsterite-laser-based supercontinuum source/s Opt. Lett. 39, 5562-5565 (2014). 600-Hz linewidth short-linear-cavity fiber laser/s Opt. Lett. 39, 5818-5821 (2014). Ultra-narrow linewidth, stable and tunable laser source for optical communication systems and spectroscopy/s Opt. Lett. 39, 5826-5829 (2014). Sequentially timed all-optical mapping photography (STAMP) Nat. Photon. 8, 695–700 (2014). Sub-femtosecond precision measurement of relative X-ray arrival time for free-electron lasers Nat. Photon. 8, 706–709 (2014). Through-skull fluorescence imaging of the brain in a new near-infrared window Nat. Photon. 8, 723–730 (2014). Hybrid grating reflector with high reflectivity and broad bandwidth Opt. Ex. 22, 21175-21174 (2014). MEMS reconfigurable metamaterial for terahertz switchable filter and modulator Opt. Ex. 22, 21326-21339 (2014). Mid-infrared frequency comb for broadband high precision and sensitivity molecular spectroscopy Opt. Lett. 39, 5050-5053 (2014). Ultrastable laser with average fractional frequency drift rate below 5 × 10-19/s Opt. Lett. 39, 5102-5105 (2014). Tunable 975 nm nanosecond diode-laser-based master-oscillator power-amplifier system with 16.3 W peak power and narrow spectral linewidth below 10 pm Opt. Lett. 39, 5138-5141 (2014). Stretchers and compressors for ultra-high power laser systems Quantum Electron. 44, 393 (2014). Pressure tuning of laser diodes in the near-infrared up to 1850 nm: operational characteristics and reliability studies Rev. Sci. Instrum. 85, 063107 (2014). Secure quantum key distribution Nat. Photon. 8, 595–604 (2014). On the experimental verification of quantum complexity in linear optics Nat. Photon. 8, 621–626 (2014). Microresonator frequency comb optical clock Optica 1, 10-14 (2014). Third-generation femtosecond technology Optica 1, 45-63 (2014). Tunable fiber laser using fiber Bragg gratings integrated carbon fiber composite with large tuning range Opt. Laser Technol. 64, 302-307 (2014). Dual frequency laser with two continuously and widely tunable frequencies for optical referencing of GHz to THz beatnotes Opt. Ex. 22, 17673-17678 (2014). Quantitative phase-contrast confocal microscope Opt. Ex. 22, 17830-17839 (2014). Moiré volume Bragg grating filter with tunable bandwidth Opt. Ex. 22, 20375-20386 (2014). Frequency comb formation and transition to chaos in microresonators with near-zero dispersion Opt. Lett. 39, 4305-4308 (2014). Super-Gaussian conical refraction beam Opt. Lett. 39, 4349-4352 (2014). Core-pumped femtosecond Nd:fiber laser at 910 and 935 nm Opt. Lett. 39, 4404-4407 (2014). Green, orange, and red Pr3+YLiF4 epitaxial waveguide lasers Opt. Lett. 39, 4450-4453 (2014). Demonstration of a cw room temperature mid-IR microlaser Opt. Lett. 39, 4459-4461 (2014). 152 W average power Tm-doped fiber CPA system Opt. Lett. 39, 4671-4674 (2014). 100 kHz, 100 ms, 400 J burst-mode laser with dual-wavelength diode-pumped amplifiers Opt. Lett. 39, 4735-4738 (2014). Narrow-linewidth quantum cascade laser at 8.6 µm Opt. Lett. 39, 4946-4949 (2014). Molecular recognition with nanostructures fabricated by photopolymerization within metallic subwavelength apertures Nanoscale 6, 8656-8663 (2014). Widely tunable mode-locked all-fiberized Yb-doped fiber laser with near-transform-limited spectrum linewidth Appl. Phys. B 116, 115-119 (2014). Generation of continuously tunable 5 µm coherent radiation by second harmonic conversion of the emission of a multi-atmosphere TE CO2 laser in AgGaSe2 Laser Phys. 24, 085401 (2014). Quantum mutual information of an entangled state propagating through a fast-light medium Nat. Photon. 8, 515–519 (2014). Generation of hybrid entanglement of light Nat. Photon. 8, 564–569 (2014). Remote creation of hybrid entanglement between particle-like and wave-like optical qubits Nat. Photon. 8, 570–574 (2014). New parallel wavelength-dispersive spectrometer based on scanning electron microscope Opt. Ex. 22, 16897-16902 (2014). Self-organizing microstructures orientation control in femtosecond laser patterning on silicon surface Opt. Ex. 22, 16669-16675 (2014). 1009 nm continuous-wave ytterbium-doped fiber amplifier emitting 146 W Opt. Lett. 39, 3725-3727 (2014). 400 mW external cavity diode laser with narrowband emission at 445 nm Opt. Lett. 39, 3794-3797 (2014). Microjoule-level, tunable sub-10 fs UV pulses by broadband sum-frequency generation Opt. Lett. 39, 3849-3852 (2014). Fast temperature measurement following single laser-induced cavitation inside a microfluidic gap Sci. Rep. 4, 5445 (2014). A photon–photon collider in a vacuum hohlraum Nat. Photon. 8, 434–436 (2014). Terahertz laser frequency combs Nat. Photon. 8, 462–467 (2014). A 23-watt single-frequency vertical-external-cavity surface-emitting laser Opt. Ex. 22, 12817-12822 (2014). Temperature characteristics of surface micromachined MEMS-VCSEL with large tuning range Opt. Ex. 22, 13063-13072 (2014). 210 W single-frequency, single-polarization, thulium-doped all-fiber MOPA Opt. Ex. 22, 13572-13578 (2014). Two MHz tunable non collinear optical parametric amplifiers with pulse durations down to 6 fs Opt. Ex. 22, 14964-14974 (2014). CMOS-compatible erbium-doped distributed feedback laser Opt. Lett. 39, 3106-3109 (2014). Supercontinuum generation from 2 to 20 µm in GaAs pumped by picosecond CO2 laser pulses Opt. Lett. 39, 3246-3249 (2014). Microchip laser mid-infrared supercontinuum laser source based on an As2Se3 fiber Opt. Lett. 39, 3418-3420 (2014). Broadband all-electronically tunable MEMS terahertz quantum cascade lasers Opt. Lett. 39, 3480-3482 (2014). Coherent combination of spectrally broadened femtosecond pulses for nonlinear compression Opt. Lett. 39, 3520-3522 (2014). Experimental realization of a concatenated GHZ state for macroscopic quantum superpositions Nat. Photon. 8, 364–368 (2014). Coherent terabit communications with microresonator Kerr frequency combs Nat. Photon. 8, 375–380 (2014). Watt-class high-power, high-beam-quality photonic-crystal lasers Nat. Photon. 8, 406–411 (2014). Tunable hot-carrier photodetection beyond the bandgap spectral limit Nat. Photon. 8, 412–418 (2014). High-power mid-infrared frequency comb from a continuous-wave-pumped bulk optical parametric oscillator Opt. Ex. 22, 10535-10543 (2014). External cavity diode lasers with 5kHz linewidth and 200nm tuning range at 1.55µm and methods for linewidth measurement Opt. Ex. 22, 10642-10654 (2014). Pulsed Sagnac polarization-entangled photon source with a PPKTP crystal at telecom wavelength Opt. Ex. 22, 11498-11507 (2014). Three-dimensional organic microlasers with low lasing thresholds fabricated by multiphoton and UV lithography Opt. Ex. 22, 12316-12326 (2014). Megawatt-scale average-power ultrashort pulses in an enhancement cavity Opt. Lett. 39, 2595-2598 (2014). Sapphire-based graphene saturable absorber for long-time working femtosecond lasers Opt. Lett. 39, 2707-2710 (2014). Adjustable pulse compression scheme for generation of few-cycle pulses in the midinfrared Opt. Lett. 39, 2735-2738 (2014). Space radiation test of saturable absorber for femtosecond laser Opt. Lett. 39, 2831-2834 (2014). Second-harmonic generation in AlGaAs microdisks in the telecom range Opt. Lett. 39, 3062-3065 (2014). Photon-based and classical descriptions in nanophotonics: a review J. Nanophoton. 8, 081599 (2014). Experimental three-photon quantum nonlocality under strict locality conditions Nat. Photon. 8, 292-296 (2014). Two-plasmon quantum interference Nat. Photon. 8, 317-320 (2014). Spectral broadening in continuous-wave intracavity Raman lasers Opt. Ex. 22, 7492-7502 (2014). Bright single photon source based on self-aligned quantum dot–cavity systems Opt. Ex. 22, 8136-8142 (2014). High-visibility nonclassical interference of photon pairs generated in a multimode nonlinear waveguide Opt. Ex. 22, 8624-8632 (2014). Lasing of ambient air with microjoule pulse energy pumped by a multi-terawatt infrared femtosecond laser Opt. Lett. 39, 1725-1728 (2014). Efficient multiline nanosecond pulse amplification in planar waveguide CO2 amplifier for extreme UV laser-produced plasma source Opt. Lett. 39, 1953-1956 (2014). Characteristics of the single-longitudinal-mode planar-waveguide external cavity diode laser at 1064 nm Opt. Lett. 39, 2101-2104 (2014). Efficient generation of ultra-intense few-cycle radially polarized laser pulses Opt. Lett. 39, 2487-2490 (2014). Active stabilization of a Michelson interferometer at an arbitrary phase with subnanometer resolution Opt. Lett. 39, 2530-2533 (2014). First Highly Efficient and photostable E and C derivatives of 4,4-Difluoro-4-bora-3a,4a-diaza-s-indacene (BODIPY) as dye lasers in the liquid Phase, thin films, and solid-state rods Chem. Euro. J. 20, 2646-2653 (2014). On-demand generation of indistinguishable polarization-entangled photon pairs Nat. Photon. 8, 224-228 (2014). A quantum memory for orbital angular momentum photonic qubits Nat. Photon. 8, 234-238 (2014). Electrically driven subwavelength optical nanocircuits Nat. Photon. 8, 244-249 (2014). Spectral characteristics of a ternary-mixture of dyes in a dye laser pumped by copper vapor laser Opt. Commun. 313, 299-302 (2014). Effects of spatial coherence in diffraction phase microscopy Opt. Ex. 22, 5133-5146 (2014). Silicon graphene Bragg gratings Opt. Ex. 22, 5283-5290 (2014). Generation of few-cycle infrared pulses from a degenerate dual-pump OPCPA Opt. Ex. 22, 5544-5557 (2014). Few-cycle solitons and supercontinuum generation with cascaded quadratic nonlinearities in unpoled lithium niobate ridge waveguides Opt. Lett. 39, 1105-1108 (2014). Improved beam waist formula for ultrashort, tightly focused linearly, radially, and azimuthally polarized laser pulses in free space Opt. Lett. 39, 1258-1261 (2014). 16.6 J chirped femtosecond laser pulses from a diode-pumped Yb:CaF2 amplifier Opt. Lett. 39, 1333-1336 (2014). A fast microchannel plate-scintillator detector for velocity map imaging and imaging mass spectrometry Rev. Sci. Instrum. 85, 023306 (2014). Melt-processed polymer multilayer distributed feedback lasers: progress and prospects J. Polymer Sci. B: Polymer Phys. 52, 251-271 (2014). On-chip quantum interference between silicon photon-pair sources Nat. Photon. 8, 104-108 (2014). Wavelength-multiplexed quantum networks with ultrafast frequency combs Nat. Photon. 8, 109-112 (2014). Sub-cycle control of terahertz high-harmonic generation by dynamical Bloch oscillations Nat. Photon. 8, 119-123 (2014). Temporal solitons in optical microresonators Nat. Photon. 8, 145-152 (2014). A miniature reflective micro-force sensor based on a microfiber coupler Opt. Ex. 22, 2443-245 (2014). CMOS-compatible highly efficient polarization splitter and rotator based on a double-etched directional coupler Opt. Ex. 22, 2489-2496 (2014). Generation of an air laser at extended distances by femtosecond laser filamentation with telescope optics Opt. Ex. 22, 3151-3156 (2014). Accelerating light beams with arbitrarily transverse shapes Opt. Ex. 22, 3490-3500 (2014). Long-distance channeling of cold atoms exiting a 2D magneto-optical trap by a Laguerre–Gaussian laser beam Opt. Lett. 39, 719-722 (2014). Ultrashort pulses from an all-fiber ring laser incorporating a pair of chirped fiber Bragg gratings Opt. Lett. 39, 989-902 (2014). Nanofocusing of electromagnetic radiation Nat. Photon. 8, 13-22 (2014). Solid-state light-phase detector Nat. Photon. 8 (2014). Breakdown plasma and vortex flow control for laser ignition using a combination of nano- and femto-second lasers Opt. Ex. 22, A90-A98 (2014). Tunable optical correlator using an optical frequency comb and a nonlinear multiplexer Opt. Ex. 22, 84-89 (2014). 110x110 optical mode transfer matrix inversion Opt. Ex. 22, 96-101 (2014). Microresonator-based comb generation without an external laser source Opt. Ex. 22, 1394-1401 (2014). Polarization versus photon spin Opt. Ex. 22, 1569-1575 (2014). Random super-prism wavelength meter Opt. Lett. 39, 96-99 (2014). Compressive single-pixel snapshot x-ray diffraction imaging Opt. Lett. 39, 111-114 (2014). Regenerative self-pulsating sources of large bandwidths Opt. Lett. 39, 174-177 (2014). Melt-processed polymer multilayer distributed feedback lasers: Progress and prospects Polymer Phys. 52, 251-271 (2014).